Now we need to set a couple of things up in Moodle. First off we need to create a CRON job for the LDAP Authentication. If all of our users do not exist in Moodle before we synchronise with iSAMS we are going to run into problems! I will assume you have configured LDAP Authentication already as per the documentation. If you have any errors with this the Moodle Authentication forum should be your first port of call. Scroll down to the “Cron synchronisation script” section and set the “Removed ext user” setting to “Suspend internal”. 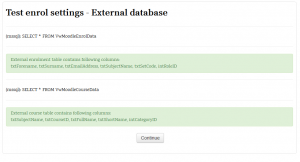 This will ensure that if a user leaves the LDAP database and is ten reintroduced, they get matched up with their old Moodle account and data. We now need to set up our Moodle server to perform the LDAP import of users at a specific time. To do this you will need to connect to your Moodle server over SSH. We are going to create a bash script to call the LDAP Sync script from Moodle. The benefit of doing it this way is that we can tell the script to save its output to a log file and then handle the log files with the standard log rotates. This way if anything goes wrong we have some log files to interrogate. will open up the crontab file for you. If you are prompted to select an editor, do the sane thing and choose Nano! We are now going to set up the course defaults in Moodle so our newly created courses are how we want. Teachers can always edit these settings after the courses are created. Now we have our Moodle server synchronising its LDAP memberships with AD, it is time get it talking to our MSSQL database to retrieve the courses and enrolments from iSAMS. This will ensure that if a student leaves a group (or was incorrectly removed due to an error with the course sync from iSAMS) when they rejoin the course all their grades will still be available to them. If you do not see this screen go back to your settings and adjust until you do. You can now activate your enrolment plugin! At this point I should stress that it would be wise to be carrying these steps out on a test install of your Moodle server. Only do this on your live Moodle once you are sure it is all working as expected! At this point you should find that all of your courses have been created in Moodle and your users enrolled to them. Spend some time checking that they are as expected! If all is well now we need to set up the regular CRON job to perform this in the background. This enrolment check is also performed at the point of login, so users should get their enrolments matched up very regularly. We are going to make another script like the ldap-sync-script and set up another CRON job for it. We will make use of the already defined Apache Log Rotate settings and just include our new logs directory in those settings. That is now pretty much everything configured. I would suggest now making some changes in a teachers and students course assignments in iSAMS and running the synchronisation on both the Moodle server and your iSAMS DB server to check they work as expected. One last point is the activation of the “Course meta link enrolment” plug-in. The reason I suggested doing this was in case you have some departments who do not want a Moodle course for every individual class in iSAMS. Using this enrolment plug-in you could create, say a Year 7 Science Moodle course, and then enrol all of the auto-created iSAMS class courses into this new course. That way all enrolments (staff and students) will be bought into this new course, and any changes to the enrolments in iSAMS will still be reflected in the set up. You can read more about the “Course meta link enrolment” plug-in here. 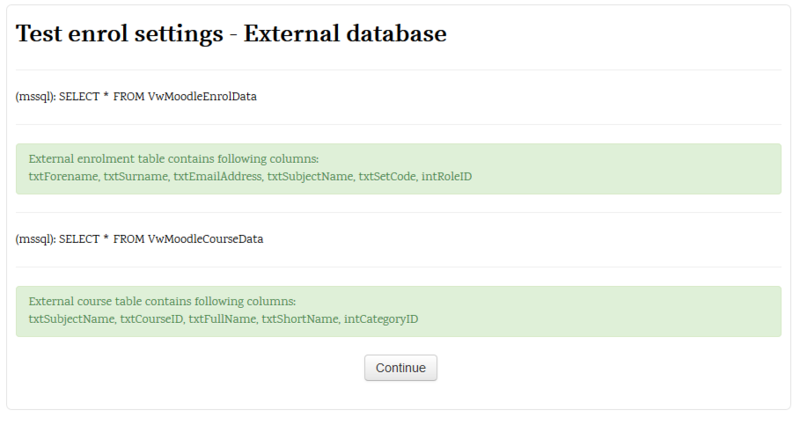 A slight edit to the wrapper script for the database enrolment has been made. I have updated it in the blog above already and highlighted the text in red. Please update your scripts to match. I found that the teachers on the course list page were not reflecting the teachers enrolled in the courses if they were moved in iSAMS. Whilst they were correctly changing in the course enrolment side of things, the course display page was using cached files from Moodle. The edit to the script just calls the CLI version of the Moodle purge_caches script to clear all server caches out after running the database enrolment script. With this addition the course display page reflects the teacher movements correctly.